Great to see a corporate design team getting creative at one of Singapore's oldest Hokkien temples! 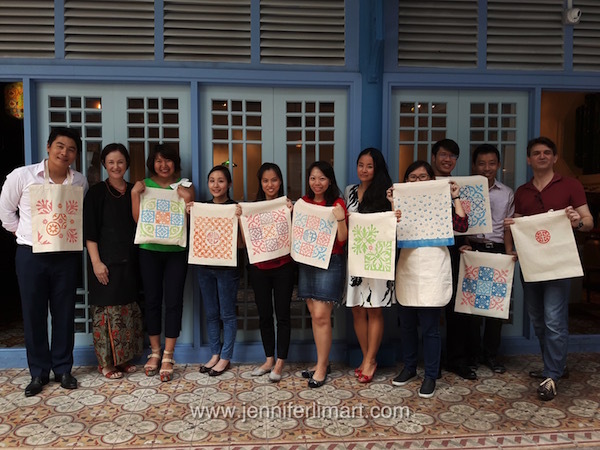 Yummy Kueh sweets and local coffee powered our enjoyable carving and printing session. Surrounded by Peranakan floor tiles and the nearby Peranakan Tile Gallery, there was lots of inspiration! Learn how a creative workshop can benefit your team!